“Dentistry is a wonderful blend of art and science, and I enjoy working with the many technologically advanced treatments modern dentistry has to offer, to improve my patients’ oral health and overall well-being. Whether I am helping a patient eliminate pain or creating an aesthetically pleasing smile, I am driven by their gratitude for the quality results my team and I produce. Dr. James Stuart earned both his bachelor’s degree in chemistry and his Doctorate of Dental Surgery from the University of North Carolina at Chapel Hill. During his undergraduate career, Dr. Stuart worked in the dental research department under the direction of Dr. Robert Kusy. His work focused on the analysis of dental ceramic brackets used in orthodontics and was published in the Journal of the American Ceramic Society. Excellence in dentistry can only be achieved through a commitment to lifelong learning. Dr. Stuart regularly participates in continuing education and has a passion for being at the forefront of dentistry and dental science. As a member of the South Charlotte Study Club, Dr. Stuart participates in hands-on and interactive meetings with his peers and studies cutting-edge dental technology. Dr. Stuart has been using Cerec CAD-CAM technology (single visit crowns) since 2003. 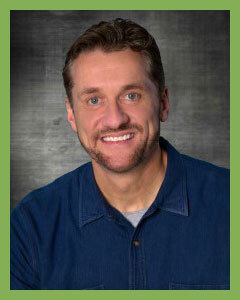 He is one of the earliest providers of CAD-CAM technology in Charlotte! Dr. Stuart's experience combined with this amazing technology provides our patients with the very best treatment possible. This technology allows us to make a crown in a single visit while the patients relaxes. No impressions, no temporary crowns and no second visit! Dr. Stuart feels extremely privileged to work in the dental field. He feels the best way to continuously earn and honor this privilege is to give generously of his time and talents to members of the community in need. He volunteers with the North Carolina Missions of Mercy as a volunteer dentist and with the Urban Ministry Center’s Dental Van, to provide dental care for the homeless. Dr. Stuart also visits local preschools and elementary schools to teach children about the importance of dental health. Dr. Stuart is a long-time Charlotte resident-moving to the area in 1970 with his family. He is the proud parent of a son and a daughter who both attend college at UNC-Chapel Hill. He loves spending time with his children, traveling, and maintaining an active lifestyle. He is an avid reader and can often be found absorbed in nonfiction books about science and Irish history. His favorite band is The Police and you are sure to hear them during your visits with him!